Petrobras has awarded Aker Solutions a contract to provide maintenance and modifications services for nine platforms at oil and gas fields in the Campos Basin offshore Brazil. The Campos Basin extends approximately 100,000 square kilometres. The 3-year contract is valued at more than BRL 250 million and includes an option for a 2-year extension. 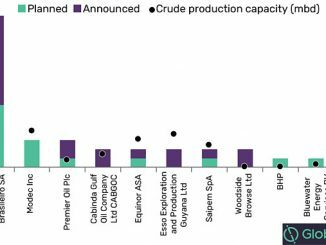 Aker Solutions will be renovating, repairing and upgrading offshore production units for Petrobras’ Campos Basin Operational Unit (UO-BC). 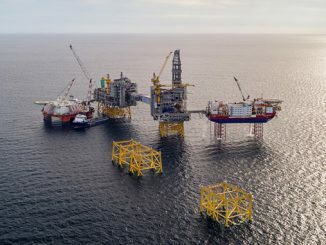 The contract will also allow Aker Solutions to demonstrate its value as a full-service provider and to manage the yard where replacement parts and other equipment will be fabricated. The company will execute the work from its C.S.E. Mecânica e Instrumentação Ltda (C.S.E.) services base in Macaé, Rio de Janeiro. Aker Solutions acquired a majority stake in C.S.E. in December 2016. Earlier this year Petrobras named C.S.E. the best supplier for onshore and offshore maintenance and HSSE, highlighting its focus on customers and excellence. The company competed against 5,000 suppliers and won 4 of 21 awards. The work starts in October 2018, with final deliveries scheduled for 2021. The contract will be booked in the third quarter 2018.